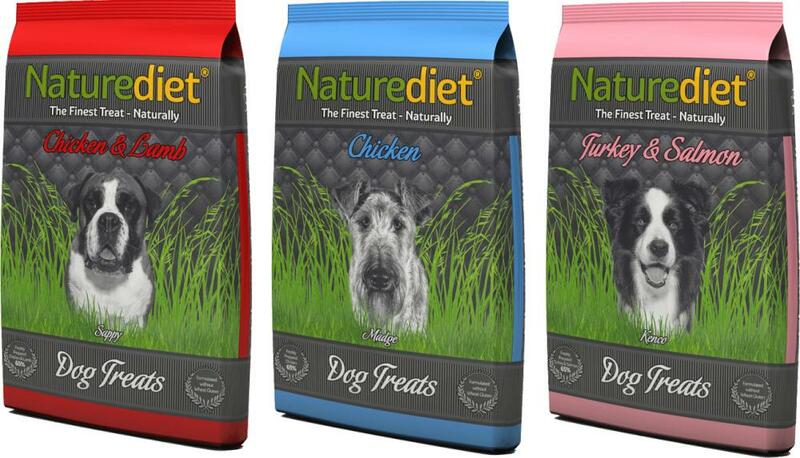 Naturediet Treats are complementary semi-moist treats which are highly palatable and come in 3 delicious flavours. The ingredients are freshly prepared and formulated without wheat gluten. The vegetables are carrots. Suitable for all types of adult and senior dogs. Using only the highest quality natural ingredients, Naturediet Chicken is a complimentary semi-moist treat which is highly palatable. We use only freshly prepared chicken and only chicken reducing the risk of allergy. Naturediet Chicken is formulated without wheat gluten. Our vegetables are carrots. Suitable for all types of adult and senior dogs. 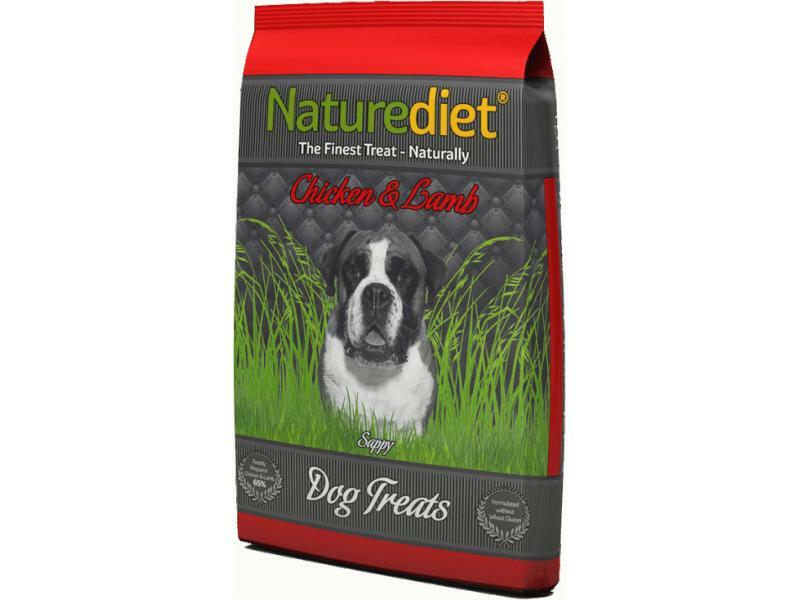 Using only the highest quality natural ingredients, Naturediet Chicken and Lamb is a complimentary semi-moist treat which is highly palatable. We use only freshly prepared chicken and lamb and only chicken and lamb. Naturediet Chicken and Lamb is formulated without wheat gluten. Our vegetables are carrots. Suitable for all types of adult and senior dogs. 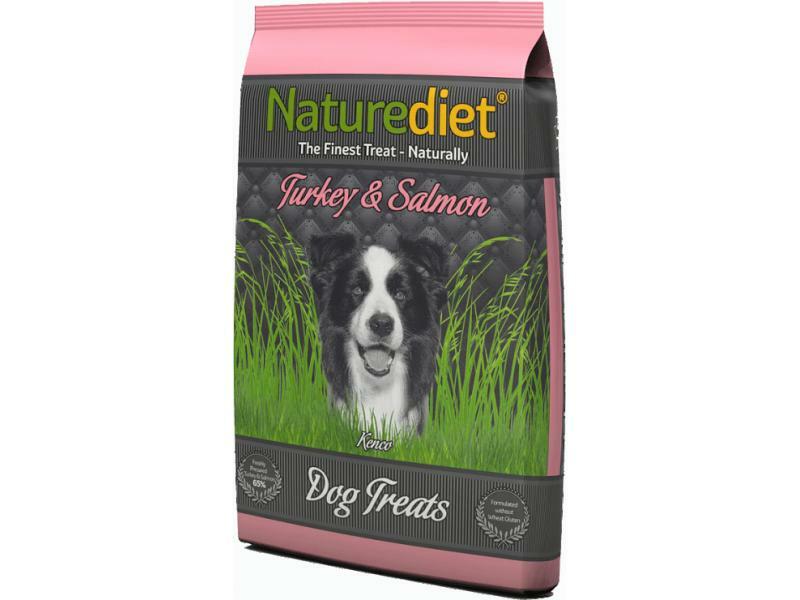 Naturediet Turkey and Salmon has been developed as a complementary semi-moist treat to assist with allergy management. The main ingredient used is turkey with the addition of salmon which is a good source of omega 3 fatty acids which help to promote a healthy skin and coat. We use only freshly prepared turkey and salmon and only turkey and salmon. Naturediet Turkey and Salmon is formulated without wheat gluten. Our vegetables are carrots. Suitable for all types of adult and senior dogs. Below are some recent questions we've received regarding Naturediet Treats, including answers from our team. Naturediet Chicken Treats - 65% chicken, rice, carrot and glycerol. Naturediet Chicken & Lamb Treats - 55% chicken, 10% lamb, rice, carrot and glycerol. Naturediet Turkey & Salmon Treats - 55% Turkey, 10% Salmon, rice, carrot and glycerol.